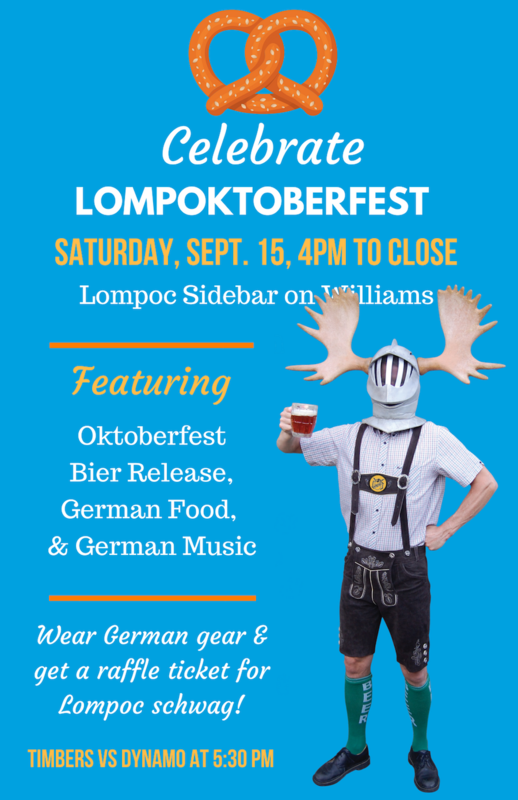 (Portland, OR) – Lompoc Brewing is inviting beer lovers to celebrate Lompoktoberfest on Saturday, Sept. 15 from 4pm to close at its Sidebar Tasting Room, located at 3901 N Williams Ave. The event will feature the release of Lompoc Oktoberfest, a German style lager with a clean malt flavor balanced by a touch of Perle hops. A portion of the grain used was roasted in the oven at Lompoc’s Fifth Quadrant, lending a slight biscuit flavor. 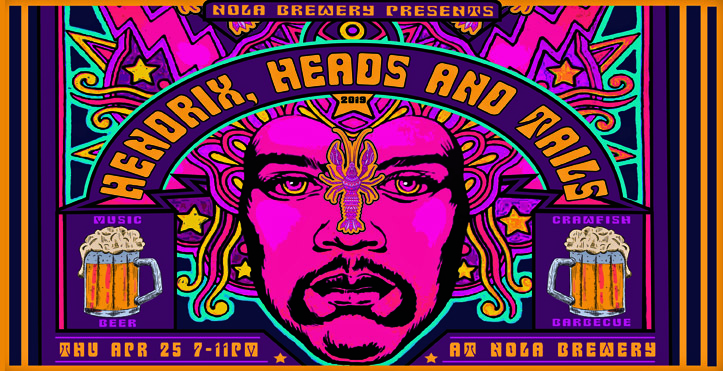 It comes in at 5% ABV. There will also be traditional German music on the stereo, German-themed food specials, and anyone sporting traditional German gear will receive a raffle ticket for a drawing of Lompoc schwag throughout the evening. The pub will also be showing the Houston Dynamo vs. Portland Timbers game starting at 5:30pm. Established in 1996, Lompoc Brewing is a longtime Portland favorite that brews eight year-round beers and an ever-rotating lineup of seasonals. You can find Lompoc in bottles, cans and on draft at locations throughout Oregon and Washington, and at its Portland neighborhood pubs: Fifth Quadrant and Sidebar in North Portland, Oaks Bottom in Southeast, and the Lompoc Tavern in Northwest. Proudly brewed in #LompocOregon, a state of mind. For more information, visit LompocBrewing.com and follow @LompocBrewing on social media.